Our field operatives have many years experience in location techniques that can be applied to any underground network, and are able to determine the most effective method to apply in any given situation from a comprehensive range of equipment which is always at the forefront of current technology. Surveys for small 1 hectare sites, up to major developments over 700 hectares, all receive the same meticulous attention. Fire hydrant flow testing provides important field information to water service planners and Fire Brigades. Our Fire Hydrant Testing service also uncovers, mechanical problems such as leaks so they can be repaired before the hydrant is needed in an emergency. 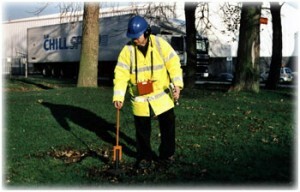 SES Utilities supply fully equipped leakage surveyors, now operating throughout the UK. 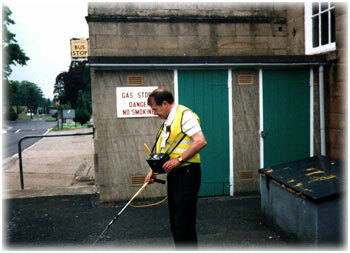 Detecting gas levels down to parts per million, surveying can locate and identify underground leaks or migrating gases before hazardous levels occur.